ST. PAUL, Minn., March 21, 2018 – The Board of Trustees of Minnesota State Colleges and Universities has named Annesa Cheek to serve as president of St. Cloud Technical & Community College. The appointment becomes effective July 1, 2018. Cheek is an experienced and dedicated leader with a reputation for bringing fresh perspective, quickly identifying an organization’s needs, and coordinating solutions that work. She developed and honed her administrative skills while at Sinclair Community College (Dayton, Ohio) where she served as assistant to the president; deputy campaign manager; senior director of advancement; chief of staff for the president; vice president of Student Financial Services and senior advisor to the president; and vice president of school and community partnerships. Cheek's contributions have helped to increase enrollment, improve student success, advance Sinclair’s overall efficiency, and strengthen the college's long-term financial sustainability. Her accomplishments include: securing $40 million in funding; contributing to the development of Sinclair’s $130 million operating budget, which included $10 million in revenue enhancements and expense reductions; implementing a dual credit program that accounts for more than 30% of new student headcount enrollment; and steering a major operational overhaul and redesign of a faltering financial aid operation. Cheek is an Aspen Presidential Fellow for Community College Excellence. 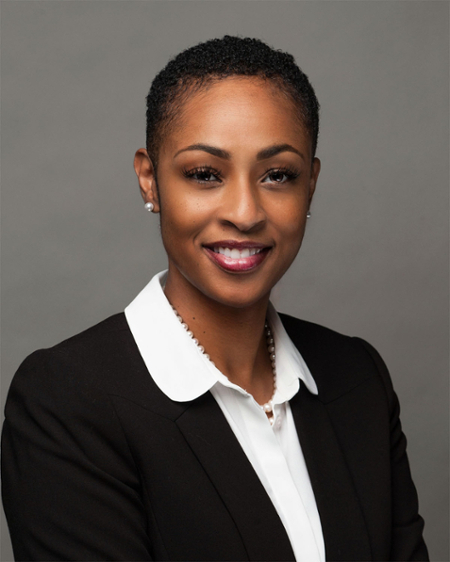 She holds a bachelor’s degree from Tennessee State University, an MBA from the University of Dayton, and a doctorate from the Community College Leadership program at the University of Texas at Austin. Cheek will succeed Lori Kloos who has been serving as interim president since 2017. Kloos will return to her permanent position as vice president of administration and chief financial officer. St. Cloud Technical & Community College (SCTCC) was founded as the second technical college in the state in 1948, and is committed to meeting the needs of its community through 90 program options that closely match the types of jobs available in the area. St. Cloud Technical & Community College is one of 37 members of the Minnesota State system and is accredited by the Higher Learning Commission.